Constanze Grosch and Friederike Kumsteller conduct labour law breakfast at Kienbaum on "Harassment in a corporate environment #MeToo". Save-the-date for our Update on labour law on May 14, 2019. Friederike Kumsteller and Kevin Keßler conduct a workshop with the Purple Squirrel Society on "Labour law and HR". Constanze Grosch and Kevin Keßler in cooperation with von Rundstedt host a labour law breakfast on the handling of employees who are unable to work. ARVANTAGE is a law firm that is specialised in labour law for employers, managing directors and executives as well as start-ups. We provide advice in all fields of labour law. 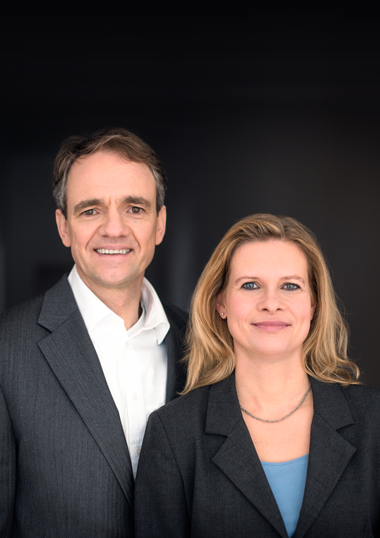 After more than 15 years of cooperation of Dr. Roland Gastell and Constanze Grosch in the labour law departments of Lovells and BMH BRÄUTIGAM in Berlin we founded ARVANTAGE as of 1 January 2016. We therefore follow the general trend to found smaller, but accordingly highly specialised law firms on the market. The exclusive specialisation in labour law gives us the greatest possible freedom to pursue our core business far away from large law firm structures. We are a team, which has been well-established for many years, that works on the highest legal level. The advice is always oriented to the needs of the clients. We work in a transparent, pragmatic manner and with short response times. Owing to our many years of experience we know the challenges regarding labour law and questions of Human Resources work in the daily business as well as with restructuring, privatisations and transactions. The focus of our daily consulting practice is placed on the personal contact to the clients. We do not see ourselves as pure problem solvers of legal questions, but we place the emphasis on trustworthy cooperation with foresight. It is our declared aim that the clients feel that they are in good hands with us. In addition to reliable availability this also includes the fact that we keep an eye on deadlines and dates and do not only work at the last minute. In addition, we give our clients regular feedback about the incurred expenses. We are looking forward to the cooperation!